A little taller and the addition of a small shelf makes this niche more versatile than our entry level niche. 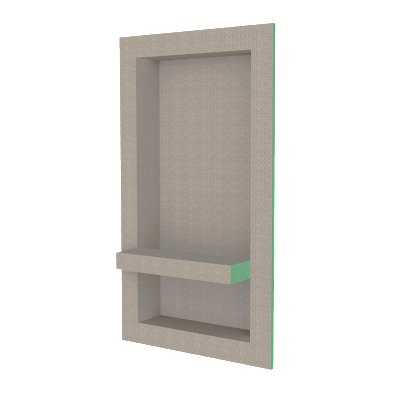 The included shelf can be glued at any height within the niche so that it best suits your needs. Your bottles can be placed above the shelf and your soaps and accessories can be placed below. Fits any standard 16″ OC wall stud spacing.